Despite having a great winter coat, the horses needed some warm shelter from the cold January wind and cold. Nobody refused the offer of a nice place to stay warm for the night. At Serene View Ranch, the horses are outside most of the time, feeding freely on Drew Jeffery’s quality haylage. Tonight, however, they will be feasting on fine Timothy hay from Earnscliff, Joel Irving’s finest. 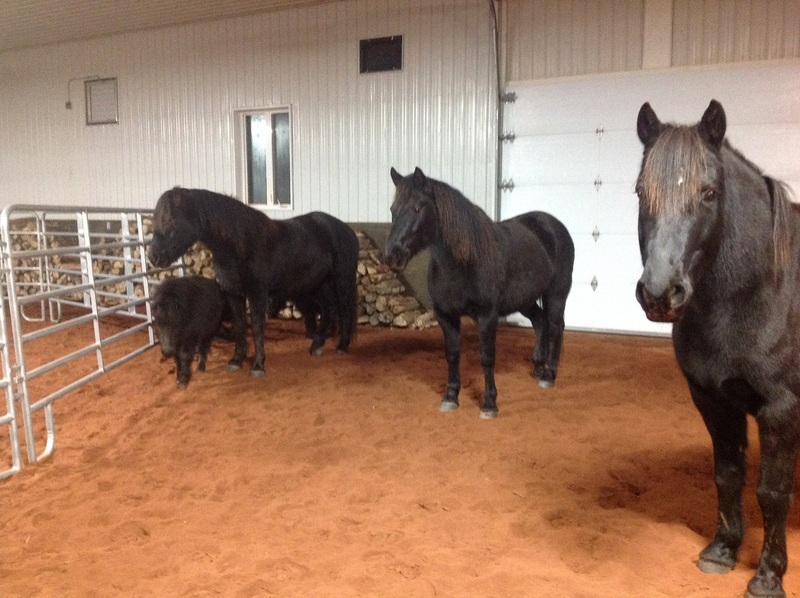 Walking into the arena tonight, I felt the gentle energy of the 6 horses. Just being in their presence is calming.